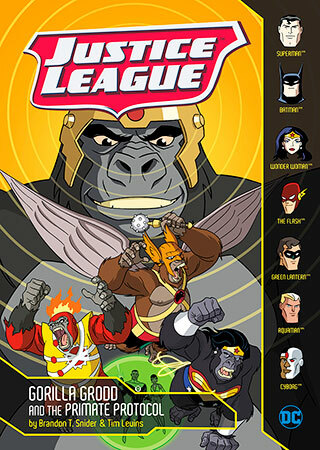 When Gorilla Grodd escapes from prison, Wonder Woman, Hawkman, and Green Lantern lead a team of heroes and capture him. Little do they know, the helmet Grodd uses to boost his powers has been rigged for primate pandemonium. In an instant, most of the team’s members transform into apes! 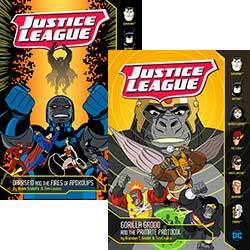 Can the Justice League fight through Grodd’s gorilla grip? Or will New York City fall to a super-simian onslaught?